MAYA WATER is the first facial mist to come from Norway, which boasts some of the purest spring water in the world. It can be used by everyone regardless of age, gender or season and is an excellent addition to any beauty regime. 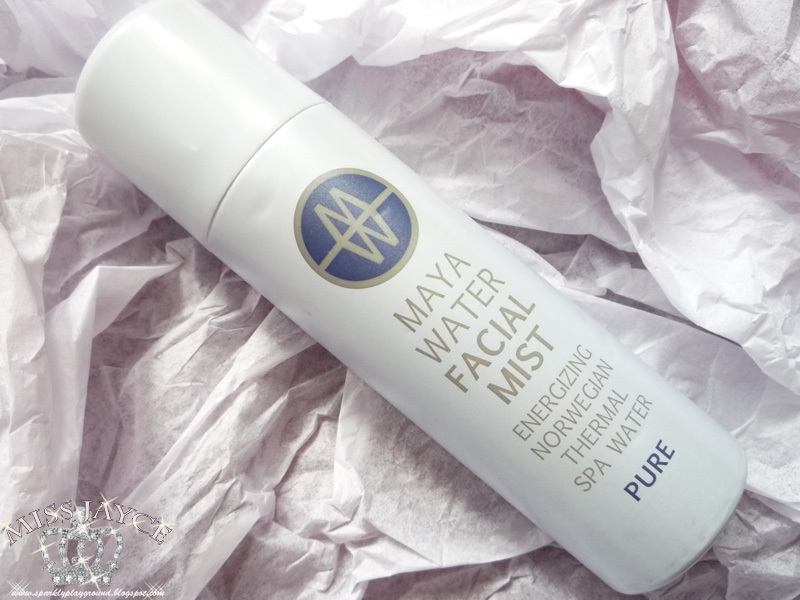 MayaWater Facial Mist Pure is pure Norwegian thermal spa water. It is naturally pH neutral, odor-free, and suitable for all skin types. Its specially designed nozzle is made to produce the finest mist available which allows the skin to absorb the water immediately. 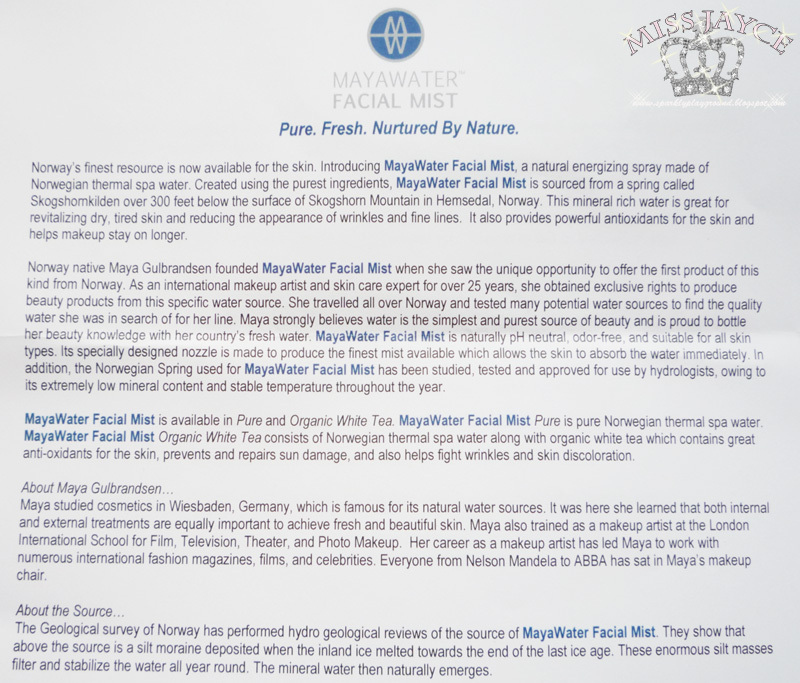 In addition, the Norwegian Spring used for MayaWater Facial Mist has been studied, tested and approved for use by hydrologists, owing to its extremely low mineral content and stable temperature throughout the year. 1. Spray about 15-20cm away from your face or neck. 4. I spray this like a finisher to my make up to set it. Spray MayaWater evenly and allow the water to absorb into the skin. It's summertime and some of you may know that I do work outdoors (summer contract job). This summer in Toronto has been dirt hot. I mean that because it's so humid, even my money-sensitive dad decided to keep the air conditioning on for a straight 7 days, so you can imagine! 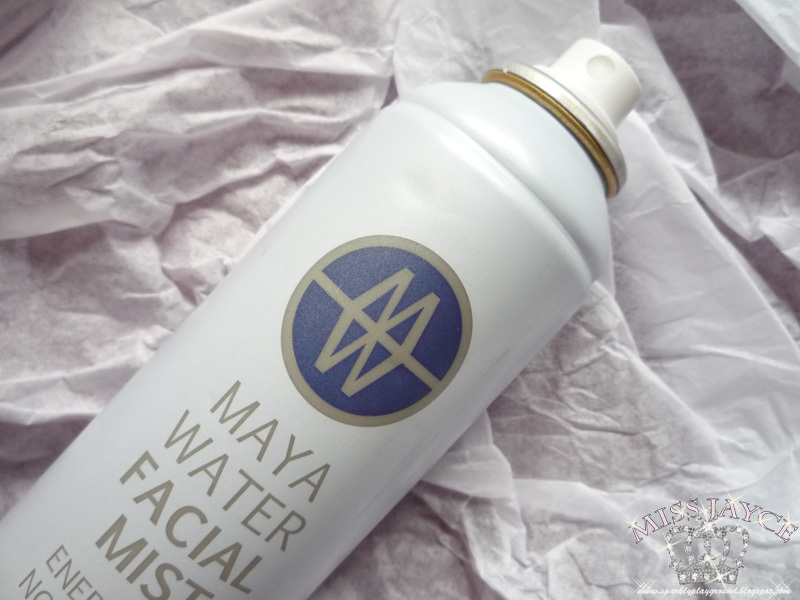 Reps from Maya Water sent me this facial mist to play with. To me, it came just in time as I almost finished my Caudalie Grape Water Mist (to be reviewed). I carry this with me everyday to work to keep myself cooled from the heat. I noticed when I spray it on myself, it creates a very fine mist just like it is described in its description. The amount sprayed is perfect to create a glow (dewy look) on your face, not a sweaty look. I really like that because I wanted to look refreshed; not drained out when I'm working. The product claims to reduce the appearance of wrinkles and fine lines, I haven't seen that for my face but I do believe that it has helped my make up last longer. Usually throughout the day, the powder foundation makes my skin looks super dry but the water mist helped it look fresh and not cakey. 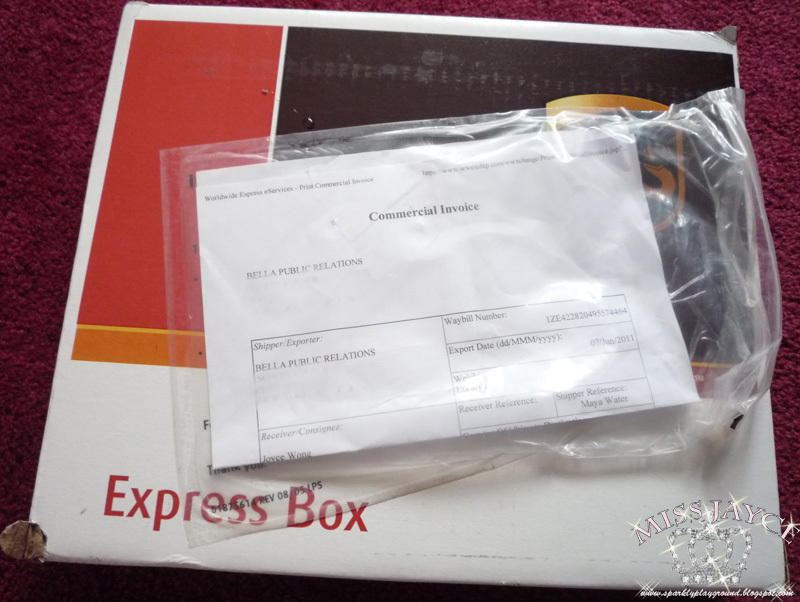 I couldn't comment on the customer service because the product was sent via a PR company and the package looked like this. Finally, in terms of price, I find it overpriced. I paid $13 for the Caudalie Grape Water Mist 100ml, while the Maya Water Facial Mist is $32 for 150ml. 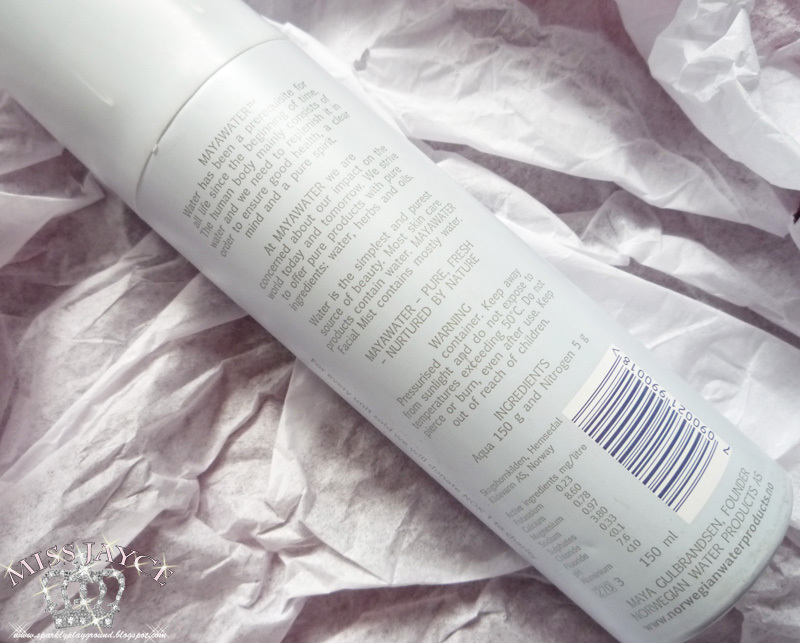 Packaging: 5/5 ♥ Love the delicate nozzle for spray. creates perfect mist.